built for the Cornell Business school in 1962. 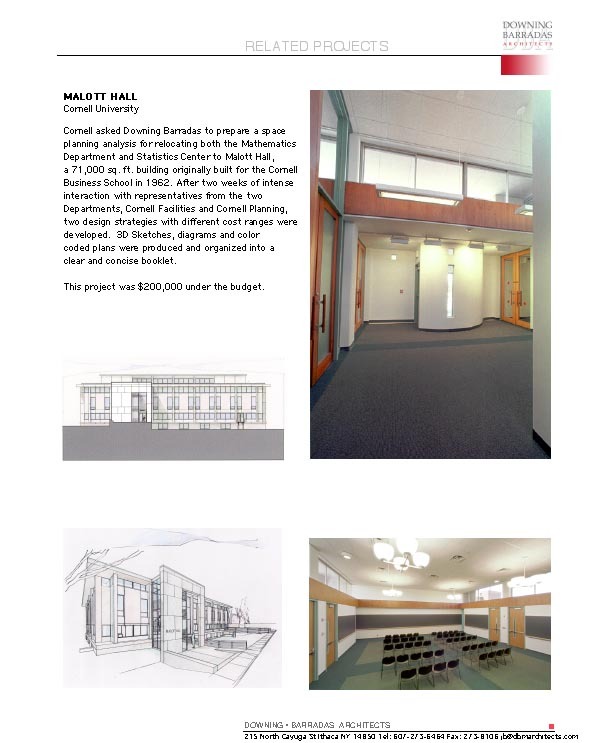 After two weeks of intensive interaction with representatives from the two Departments, Cornell Facilities and Cornell Planning, two design strategies with different cost ranges were developed. 3D Sketches, Diagrams and Color coded plans were produced and organized into a clear and concise booklet.